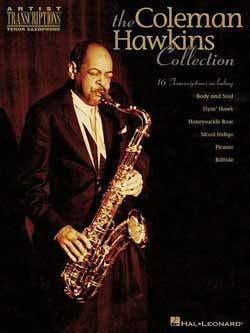 Coleman Hawkins CDs available from Document Records. 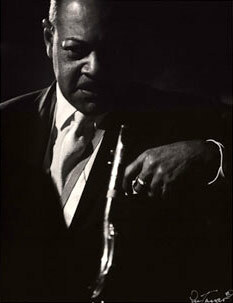 Coleman Hawkins: The King of the Tenor Sax 1929 ~ 1943. Click here to go straight to the CD. 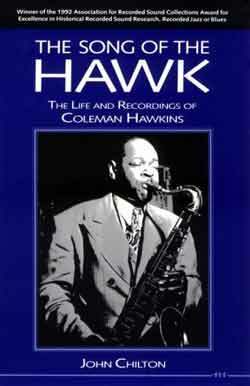 Coleman Hawkins was born November 21, 1904 in St. Joseph, Missouri. He started on piano when he was five, switching to cello two years later and settling on tenor at the age of nine. Hawkins extensively studied music and in time would become a master of chords, knowing the most difficult songs backwards. By the time he was sixteen he was a professional musician playing in Kansas City theatre orchestras. Because he had no significant predecessors on tenor, Hawkins had to invent his own style from scratch. Before Hawkins arrived on the scene there were no tenor saxophone soloists in jazz. The tenor was mostly utilized as a comical novelty instrument, a poor substitute for the trombone. 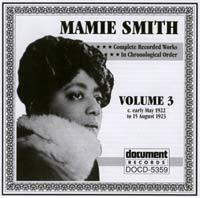 In 1922, Mamie Smith spotted him in Jesse Stone and his Blues Serenaders in Kansas City theatre and hired him away to play with her Jazz Hounds. During this time his tone was already strong and his technique was impressive but Hawkins used staccato phrasing, occasionally slap tongued and his short solos were full of flash rather than flowing ideas. 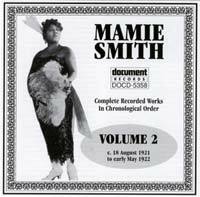 Hawkins stayed with Smith until 1923, and appeared on some of her records. In August 1923 he began to record with Fletcher Henderson`s orchestra, staying with the band when it became a fulltime outfit in January 1924. When Louis Armstrong joined Henderson later that year Hawkins took note, and soon he was strongly influenced by Armstrong`s legato phrases, his use of space for dramatic effect, and his ability to "tell a story" in his solos.Hawkins who throughout his career would always have a very open mind towards new ideas, quickly modernized his style and in 1926 on Henderson`s recording of "Stampede" he waxed the first major tenor sax solo. Six of Hawkin`s most important early solos (including "Stampede", "I`m Gonna Get You" with Mamie Smith and 1937`s "Crazy Rhythm") have already been featured on The Legendary Tenor Saxophanists: 1922 ~ 1940 in this series. Many of the tenor`s other major spots with Fletcher Henderson will be reissued in the future on a Henderson set, so this particular CD concentrates on the exciting solos released under his own name from 1933 ~ 1943, with the exception of the first two selections. On November 14, 1929 Hawkin`s recorded with the Mound City Blue Blowers, an all-star group led by Red McKenzie who played a comb with tissue paper, achieving an effect similar to a kazoo. "Hello Lola" (which has one of Glen Miller`s finest trombone solos) is a joyous romp while "One Hour" (which was really James P. Johnson`s " If I Could Be With You One Hour Tonight") is the earliest of Hawkin`s classic ballad statement. 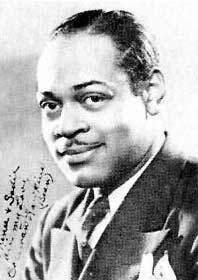 Coleman Hawkins had his own initial recording date on September 29th, 1933, making good use of fellow players from the Henderson orchestra for the rollicking track "Jamaica Shout." There were fine spots for trumpeterHenry "Red" Allen, trombonist J.C. Higginbotham, and Hilton Jefferson on both alto and clarinet. In contrast is the thoughtful and rather wistful interpretation of "On The Sunny Side Of The Street, "performed as a duet with pianist Buck Washington, a version that doubles the tempo for the final exciting chorus. After a decade with the Fletcher Henderson Orchestra, Hawkins left the band in 1934, being fustrated by a lack of commercial success and some blown oppurtunities, and set sail for Europe. During the next 5 years he was treated as a major artist, playing all over the continent with many top European bands. He recorded quite a bit, including sessions which produced the next 5 tracks fetured on this CD. "I Wish I Was Twins" has Hawkins playing with a Dutch group called the Ramblers. "Avalon" swings hard, helped in large part by the hard-driving guitar of Django Reinhardt, the top European soloist of the 1930`s. "Honeysuckle Rose" is from the famous session that resulted in the already-reissued "Crazy Rhythm." Benny Carter provided the arrangement for the 4 saxes and takes a short alto solo but it is still primarily a showcase for Hawkins. "Stardust" and "Well Alright Then" have the great tenor fullt in the spotlight, performing inventive duets with expatriate pianist Freddie Johnson. With the shadow of World War Two looming in Europe Hawkins returned to the United States in 1939. Soon after he was performing in jam sessions with the up and coming Lester Young and also with Ben Webster and Chu Berry. On his first recording date since his return, Hawkins recorded what became his most famous song "Body and Soul." 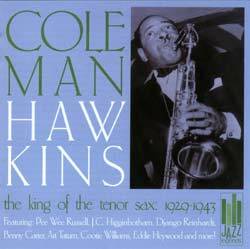 During the years 1939-1947, Hawkins recorded one gem after another. On "Dinah" he is joined by vibrophonist Lionel Hampton. The set he recorded on January 3rd, 1940 was at such a high level that all four selections are reissued here; they are the ballad "When The Day Is Done", "My Blue Heaven" a vintage standard, "Bouncing With Bean" which is based on "Everybody Loves My Baby" and "The Sheik Of Araby." This CD selection closes in December 1943 when Hawkins was in particulary stiring form. It features him playing with pianist Art Tatum, Duke Ellington`s former trumpet star Cootie Williams, and a rhythm section driven by drummer Big Sid Catlitt. Tracks include "Boff Boff", "My Ideal", and "Stumpy" which features some joyous playing by trumpeter Bill Coleman along with an explosive solo from Hawkins. The last 2 tracks "Crazy Rhythm" and "The Man I Love" show Hawkins in a particulary creative mood. 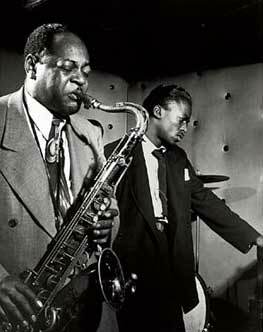 Although he had been a major jazz inovator for 20 years, Coleman Hawkins still had great years in front of him, embracing bebop and giving the `young modernist` players chances to be heard. He passed away on May 19th, 1969 at the age of 64. Coleman Hawkins will always be remembered for being one of the towering giants of the tenor sax, the instrument that he introduced to jazz.